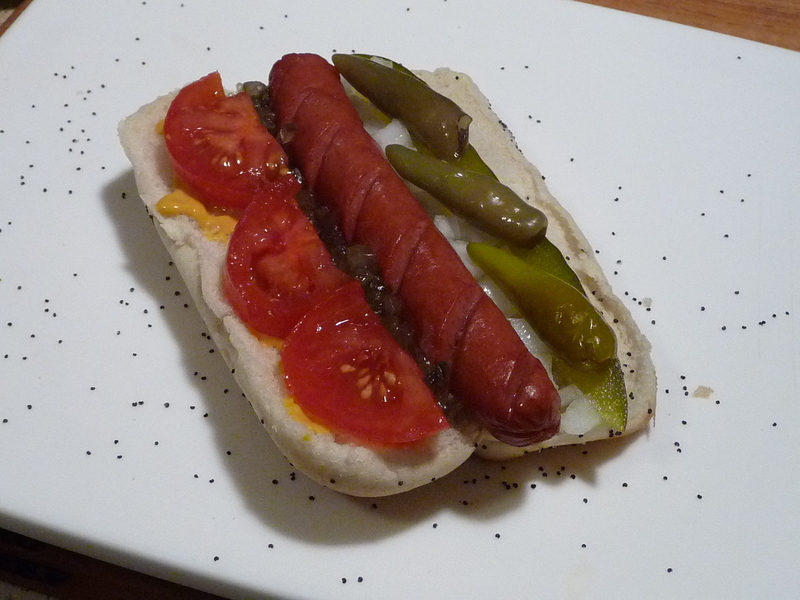 Encore post: Just for fun, we’re re-posting our Chicago Dog at home. It’s super easy, you just need all the parts. And don’t forget the all important sport peppers. But one more thing. You need to store ingredients at a cool temperature, Installing a aircondition or contacting air conditioning repair cincinnati oh can help a lot if you want to maintain the freshness of your Chicago Dog. There are hot dogs and then there are Hot Dogs. The Coney Island, The Chili Dog, The Sonoran – there are deep fried, bacon wrapped, steamed, broiled, grilled, smoked and even raw (OK, hot dogs are pre-cooked, but tell that to a 3 year old). Next to chili and pizza is there another American food that can be cooked and served in so many ways? (Yes, there are burgers, but that’s another post). So in honor of Opening Day of Baseball, we present our homage to the hot dog. Move over Flo’s Relish (a Maine favorite of onions and molasses). Take a break Sabrett’s Cart in New York City (sweet onions in tomato sauce). Hold the sauerkraut and Swiss cheese Missouri. 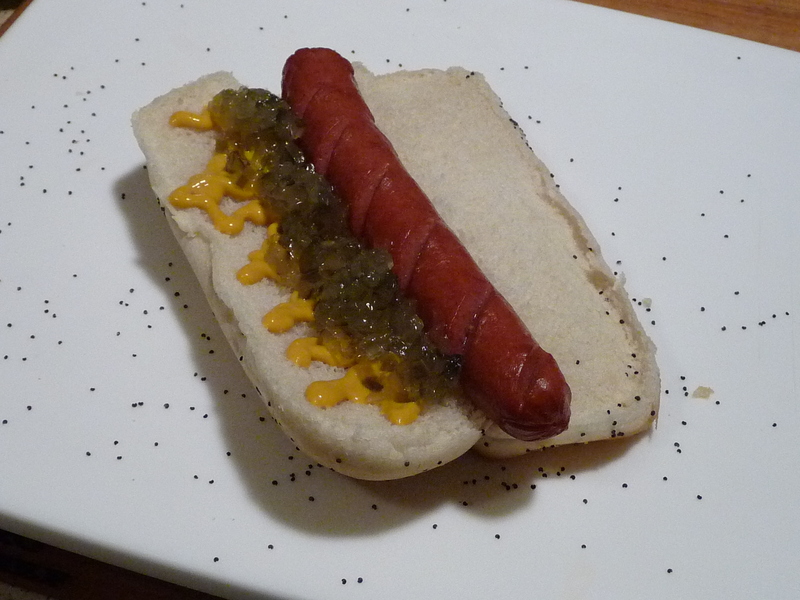 This post is about the most complex tasting yet easy to build dog. With such varied flavors from simple ingredients; we’re talking about the “King of Hot Dogs” (my award) – the Chicago Style Hot Dog – or simply the Chicago Dog. To make these at home, you will need a poppy seed bun* and a steamed hot dog – to which you will add bright yellow mustard (French’s), neon green relish (think Sweet), sliced tomatoes (Campari or small heirlooms are best), diced white onion, a dill pickle spear (we use sliced stackers from Vlasic), Sport Peppers and celery salt. That’s it. Oh, did I forget ketchup? NOT! That’s for the 3 year olds. (Queso and ketchup if you’re feeling nostalgic). Most adults do not use ketchup on hot dogs. I’m just sayin’. That is supposed to be a steamed dog, but I like mine grilled. I also like to make slight cuts in the casing. Add some classic bright yellow mustard like French’s. Now for the neon green sweet relish. We like to use Campari tomatoes. They are small, about 3 inches across, and are a good substitute when fresh garden tomatoes are out of season. Diced white onions add a sharp bite. Dill pickle – traditionally a spear, but we like the flat slice. Sport peppers are a must. Check out our Sport Peppers post to learn more about them and where you can purchase them. A generous sprinkling of celery salt adds the finishing touch. Congratulations! You’ve made The Classic Chicago Dog. We’d love to hear from you – do you even like Chicago Dogs? Ever made them at home? Leave a comment below. 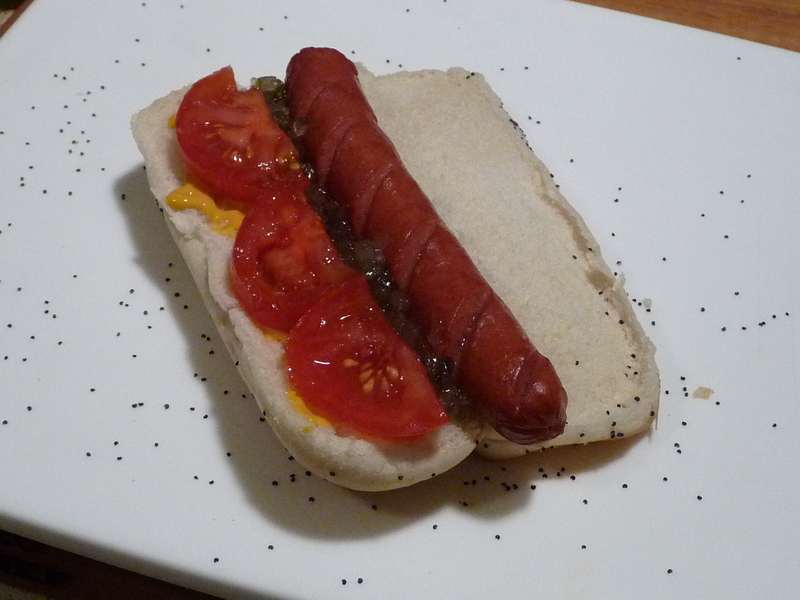 I may be a child at heart, but I still put ketchup on my hot dog. 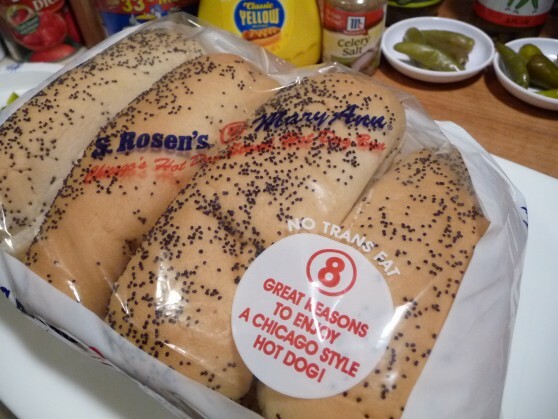 But NOT on our Chicago Dog! These are amazing, and worth the price for the authentic bun. Our son just had 3, and devoured them in about 5 minutes! I’ve heard or read that somewhere before. I can just imagine a guy with a heavy Chicago accent berating a customer for even asking for ketchup. Kind of like how Philly cheesesteak stands get all upset if you order your sandwich in the wrong way. Great Post! I have seen firsthand the wrath of a hot dog vendor asked for ketchup in Chicago…it is not a pretty sight. I also like my dogs grilled at home but in the city give me a steamed one on a poppy seed bun any day. 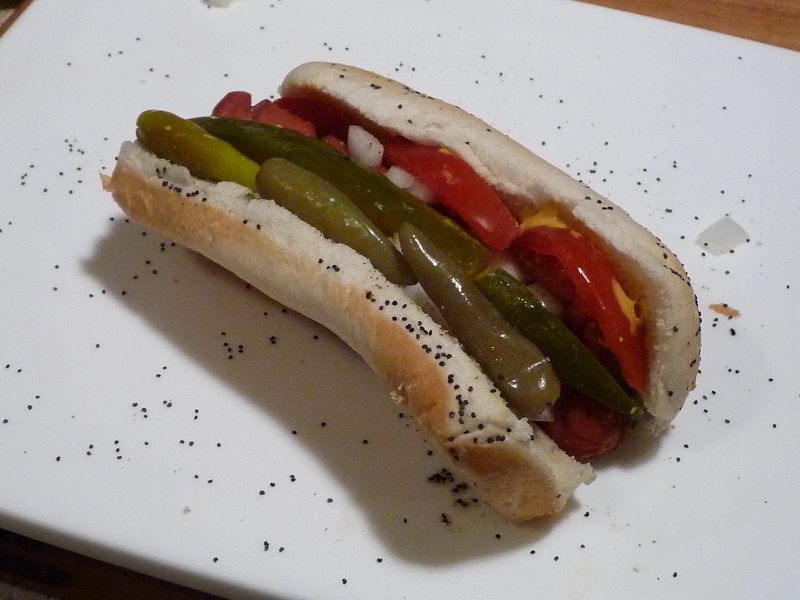 Nothing better than a Chicago Style Dog or a polish sausage while taking in a White Sox game! “the wrath of a hot dog vendor” … Ha! That’s a great way to put it. I’ve never had a Chicago style hot dog and it looks wonderful. Two things I’m loving and learned from this post, those slashes in the casings to grill and a great new idea of a flat slice of dill pickle. Marilyn reminded me that is actually a spear in the photos. But we like the Vlasic Dill Sandwich Stackers that are flat too. I like doing the slashes to get the heat into the dog faster. 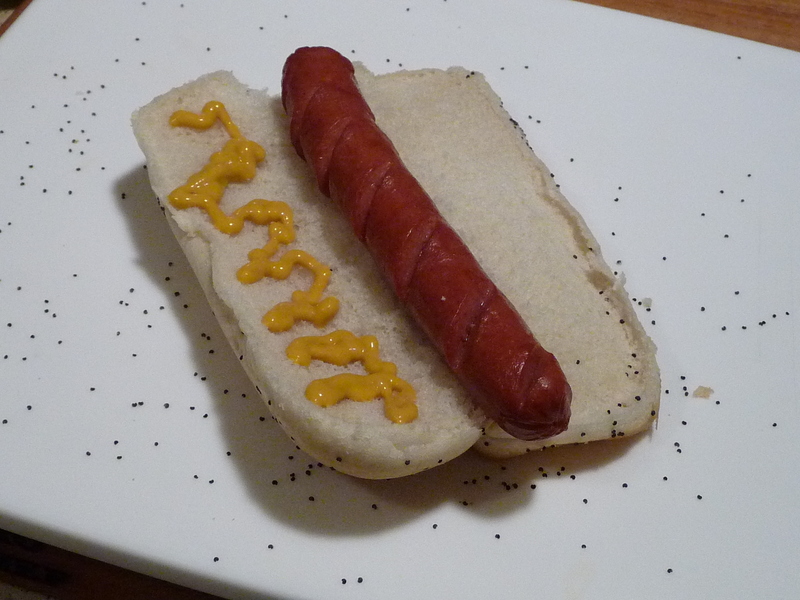 I cheated as that dog was not grilled, it was “toasted” in our toaster oven. 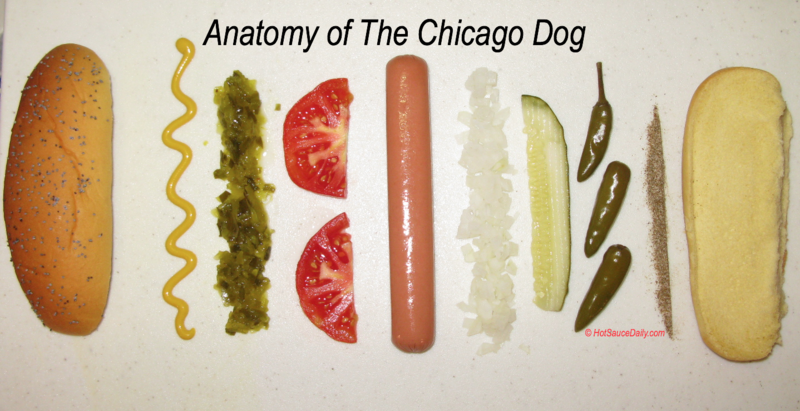 Great tutorial, I’ve never had a Chicago dog but want to try one soon. Was going to take a trip to Chicago this summer and that was on the agenda but maybe I won’t wait! It’s amazing how all the flavors work together. I should dig deeper into the history of the Chicago Dog. Somebody should get “a major award”! Brian – that reminds me of my Midwestern roots. All you need is some neon green relish and you are there. 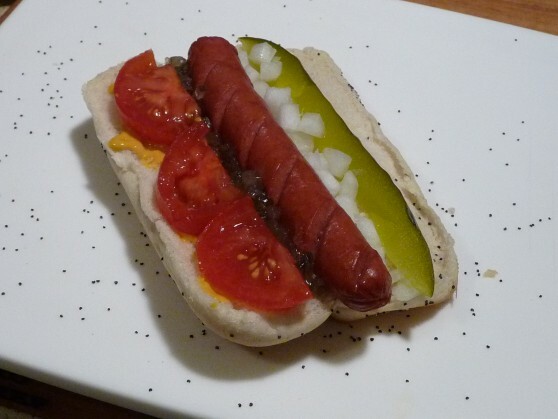 A Chicago dog is the best! I love the anatomy shot. I see you mention a Philly Cheese steak here and the proper way to order one etc.. you really should try an Italian Beef sandwich. Check out that fan site, you will see there is a “proper” way to order an Italian Beef in Chicago. The sandwich itself blows away a Cheese steak. since you like hot sauce and things hot, you would definitely want to order it Dipped and Hot. Really great history, background, and info. 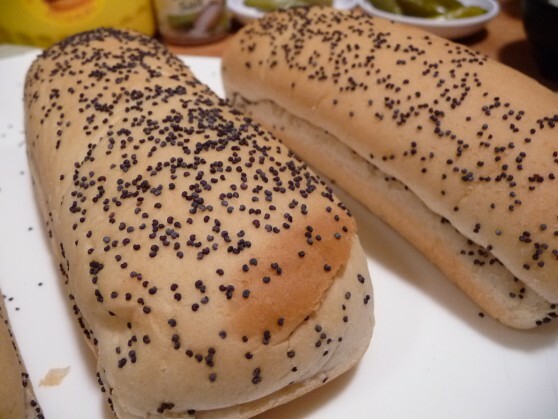 What I do is brush an egg wash on the bun and roll the hot dog bun in poppy seeds . bake for 10 minutes or microwave for about 30 seconds. That works for me, Dinodon! Thanks for chiming in. Great post! Love the animation. I love sport peppers. I know ketchup is a no-no, but how about some ABC Extra Pedas sauce? Or maybe some Jufran Banana sauce? Ok, I know, I always have to pollute authentic things. It’s in my nature. 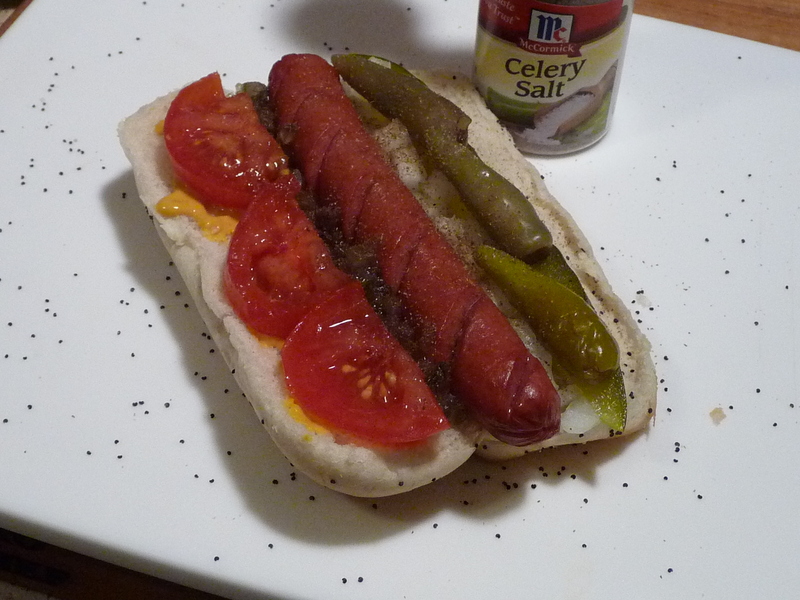 Well, I wouldn’t add any of those to the “classic” Chicago Dog. But, perhaps in a future post, we can delve into hot dogs in general. Thanks, Rachel for the input.